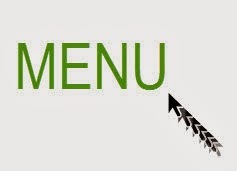 The best way to create cool menu items (tabs) in Blogger blog - Blogger I.Q. This tutorial shows you how to add a menu bar which when clicked shows posts related to that ‘menu’ item which you’d clicked. Almost all blogging sites have a feature called labels. It is this feature that we are going to tweak and use it for our purpose. I accidentally stumbled upon this feature when trying to add a ‘tag cloud’ to my another blog to which I contribute. 1. Ensure you’ve added labels to all your posts. This is the most important step. For eg. if you’ve written posts related to ‘Movies’ in your blogger site – you would add a label called ‘movies’ or something like that. All you need to do is to add the label and remember that label to proceed with our next step. 2. Now go to the ‘Pages’ section and add a ‘New Page’. While adding, ensure you add it as a ‘Web Address’. See Clip 1. 3. In the title, provide the title that you would like your menu tab to show as. In this example you would add the label ‘movies’. 5. Save and reorder your menu pages in the order you want it. That’s all! Now you have a new tab added which when clicked shows only the posts which you’ve labeled as ‘movies’. Please share this tutorial with your friends.